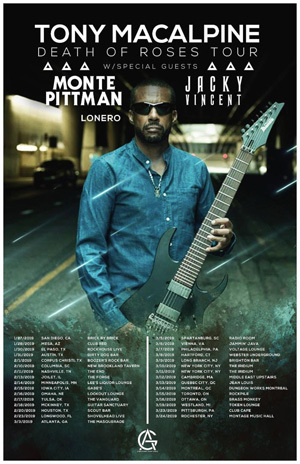 Starting January 27th, Monte Pittman will head out on the road as direct support to Tony MacAlpine, with special guest Lonero. Monte Pittman comments: "I'm excited and honored to hit the road opening for Tony MacAlpine. We're playing some of the cities I recently played while opening for Sebastian Bach earlier in the fall, so I'm really looking forward to getting back there. This is going to be a great way to start the year."